Laurie Lamb Wagner received a Bachelors of Environmental Sciences from the University of Manitoba in 1987. 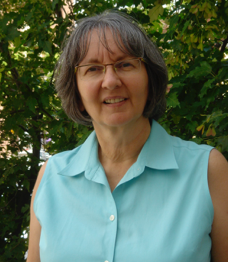 Prior to going on to do her masters, Wagner worked as a Planning Assistant in Thompson for the Province of Manitoba from 1974 to 1976. In 1977 Wagner became a Planner for the Province of Manitoba in Winnipeg. That year, she also began working towards her Masters in Landscape Architecture at the University in Manitoba, graduating in 1982. Not even a year into her masters, Wagner worked as a junior landscape architect for the firm Hilderman Feir and Witty (now HTFC Planning & Design) and remained with the firm until 1983. Wagner then had a brief stint with Selo Ukraina Design Group as a Landscape Architect and Planner. By 1984, Wagner had begun working for the firm David Wagner Associated Inc. where she has been a Principal Landscape Architect for over thirty years. Wagner has expertise in a variety of things, from private gardens, city parks and playgrounds to commercial developments. Wagner has expressed that her goal is to create environments that are engaging and gratifying to people of all ages. She has been the recipient of three Canadian Society of Landscape Architects (CSLA) awards. The first she received, along with David Wagner, was for the extension to Central Park in Winnipeg, Manitoba. The extension to the park was conceived as a linear and passive park and its design sought to link the many architectural styles seen within the neighborhood. A year later, Wagner won First Place in the Memorial Park Design Competition. In 2012, Wagner was awarded the Manitoba Planning Excellence Honourable Mention for the Parc Carillon in St Pierre-Jolys, Manitoba. The master plan, drawn by Wagner, features a picnic area, baseball and soccer fields, a pavilion for weddings, a frog pond, a campground, and more. The park is host to competitions, fairs, and numerous community events. Wagner has worked on several other parks, including, but not limited to, Egesz Park, Forsyth Aldgate Park, and Nellie McClung Park. Wagner has also worked on several playground projects. In 2007, the firm was awarded the City of Winnipeg Accessibility Award for the playground in St. Vital Park, Winnipeg. The playground was also named one of the best playgrounds in Winnipeg by ADAPT Manitoba (Association for Developmental Autism Programs and Therapies). In 2015, David Wagner Associates were a finalist for the City of Winnipeg Accessibility Awards for the Central Community Centre Freight House of which Wagner worked on the design of the playground, skate park, and hockey rink. In addition to these projects, Wagner has worked on two habitat and exhibits in Manitoba. In Winnipeg, Wagner worked on the Assiniboine Park Zoo’s Camel, Yak, and Zebra Habitat and Exhibit and in Thompson, she worked on Boreal Discovery Centre’s Wolf Habitat and Exhibit. Wagner gives her time to local communities to help do renovations to schoolyards and playgrounds. She has also given her time mentoring young Landscape Architects. From 2000 to 2001, Wagner was a Council Member for the Manitoba Association of Landscape Architects (MALA). Since the 1980s, she has been a member of MALA and a member of CSLA. In 2009, she was made a fellow of the CSLA. Wagner, David. “The Extension to Central Park, Winnipeg.” Landscape Architectural Review 9, no. 3 (July 1998), 23.